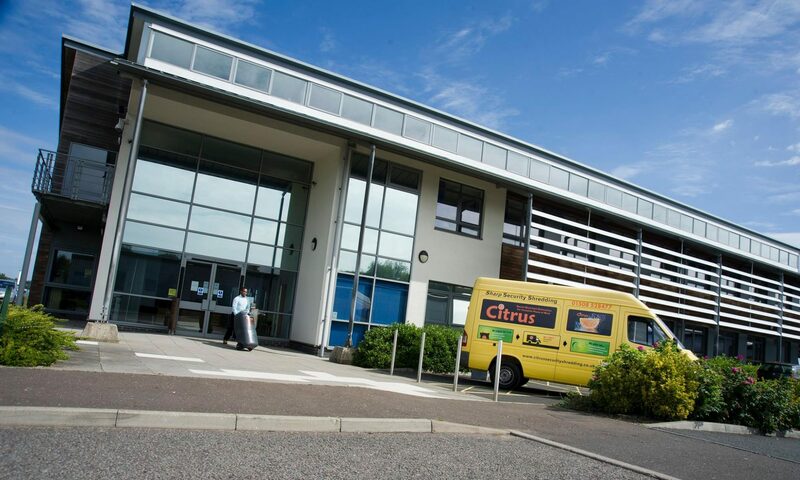 Citrus Sharp Security Shredding are independently owned specialists supplying secure and confidential paper destruction services to both business and private customers. We are trusted with the responsibility for destruction of thousands of confidential documents every week for a wide range of clients including; residents, council offices, solicitors, accountants, schools, health professionals, charities, energy providers and manufacturers. We are based near Beccles and operate throughout Suffolk and Norfolk. Citrus is fully licensed, ISO accredited and regularly audited, and provides full documentation, including a Certificate of Destruction, all of which is included in the price quoted at the time of enquiry. We pride ourselves on our friendly, helpful service from the very first moment you contact us for advice. We have, in fact, been credited for our service, achieving awards for exceptional Customer Care, & Environmental Management, reducing energy, whilst increasing recycling & security. An initial consultation is free of charge and completely without obligation.